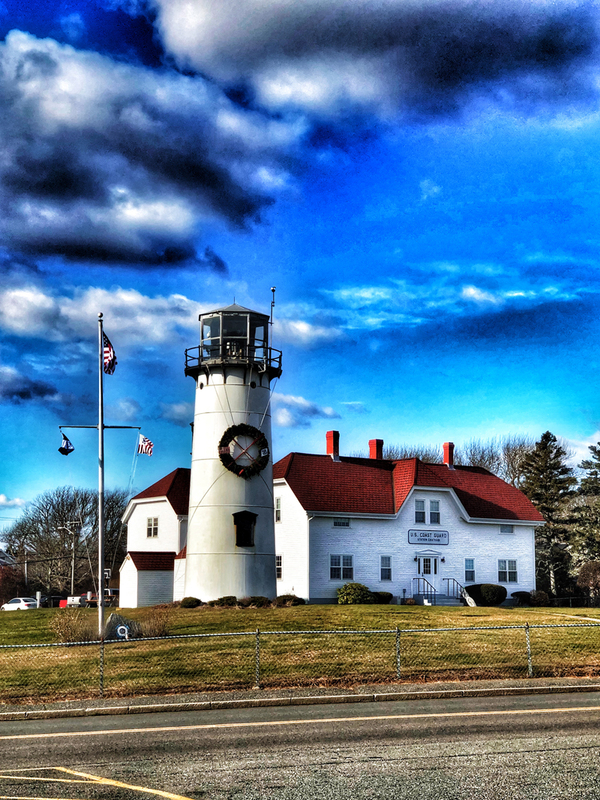 It is always fun to take a drive to Chatham during the holidays. The restaurants, stores and storefronts are so festive with holiday decorations. 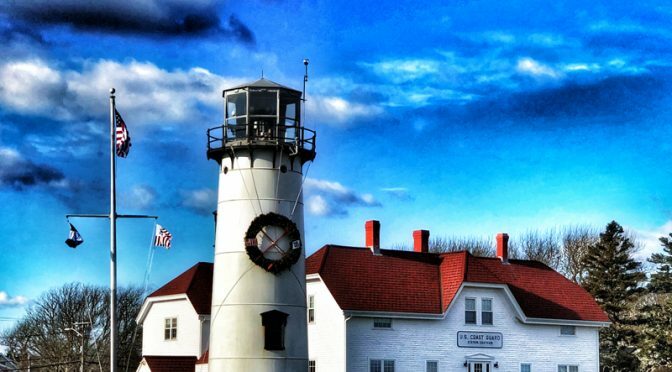 You can see their annual Christmas Tree decorating exhibit in Kate Gould Park as well as along Main St.
One of my favorite places to visit is Chatham Light. And this year it was especially beautiful with the blue sky in the background. 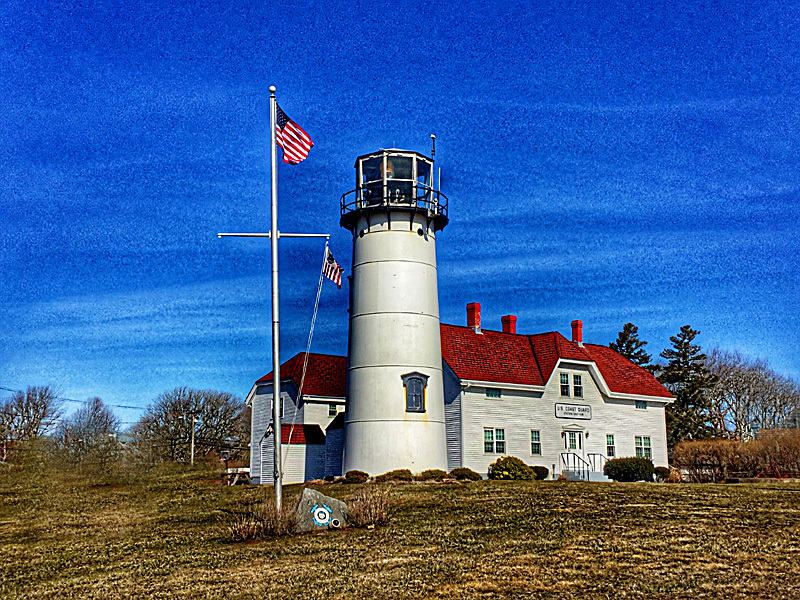 The first lighthouse on Cape Cod was erected in 1797 in Truro with a lighthouse in Chatham being approved by Congress in 1806. 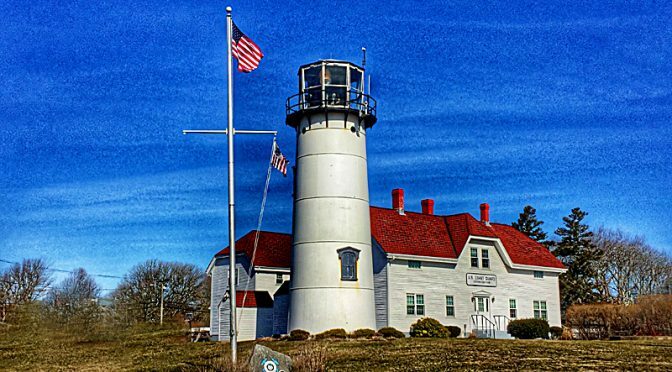 Chatham Light is needed because of the treacherous shoals and currents in the area. 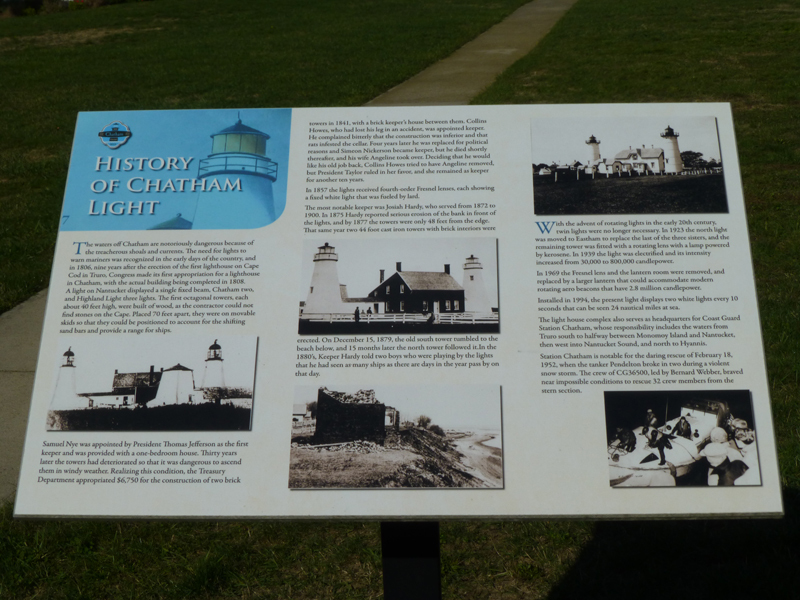 It’s a pretty fascinating story that you can read on the plaque if you visit the lighthouse or online. There were many different lighthouses before the present one stayed.